The Browning A5 A 5 Auto 5 20ga, 28" Light, Invector Choke, Vent Rib GI# 101179873 has been sold. Browning A5 Japan, Light 12, 12ga with two barrels! 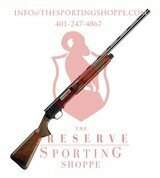 Browning ~ Auto-5 Magnum Twelve ~ 12 Ga.
BROWNING AUTO 5 12 GA 2 3/4'' DUCKS UNLIMITED 50TH ANN. Browning ~ Model A-5 Wicked Wing ~ 12 Ga.
Browning ~ A5 Magnum Twelve ~ 12 Ga.
Browning ~ Magnum Twelve ~ 12 GA.